It will be observed, that the plea applies to that class of persons only whose ancestors were negroes of the African race, and imported into this country, and sold and held as slaves. The only matter in issue before the court, therefore, is, whether the descendants of such slaves, when they shall be emancipated, or who are born of parents who had become free before their birth, are citizens of a State, in the sense in which the word citizen is used in the Constitution of the United States. And this being the only matter in dispute on the pleadings, the court must be understood as speaking in this opinion of that class only, that is, of those persons who are the descendants of Africans who were imported into this country, and sold as slaves…. The words ‘people of the United States’ and ‘citizens’ are synonymous terms, and mean the same thing. They both describe the political body who, according to our republican institutions, form the sovereignty, and who hold the power and conduct the Government through their representatives. They are what we familiarly call the ‘sovereign people,’ and every citizen is one of this people, and a constituent member of this sovereignty. The question before us is, whether the class of persons described in the plea in abatement compose a portion of this people, and are constituent members of this sovereignty? We think they are not, and that they are not included, and were not intended to be included, under the word ‘citizens’ in the Constitution, and can therefore claim none of the rights and privileges which that instrument provides for and secures to citizens of the United States. On the contrary, they were at that time considered as a subordinate and inferior class of beings, who had been subjugated by the dominant race, and, whether emancipated or not, yet remained subject to their authority, and had no rights or privileges but such as those who held the power and the Government might choose to grant them…. In discussing this question, we must not confound the rights of citizenship which a State may confer within its own limits, and the rights of citizenship as a member of the Union. It does not by any means follow, because he has all the rights and privileges of a citizen of a State, that he must be a citizen of the United States. He may have all of the rights and privileges of the citizen of a State, and yet not be entitled to the rights and privileges of a citizen in any other State. For, previous to the adoption of the Constitution of the United States, every State had the undoubted right to confer on whomsoever it pleased the character of citizen, and to endow him with all its rights. But this character of course was confined to the boundaries of the State, and gave him no rights or privileges in other States beyond those secured to him by the laws of nations and the comity of States. Nor have the several States surrendered the power of conferring these rights and privileges by adopting the Constitution of the United States. Each State may still confer them upon an alien, or any one it thinks proper, or upon any class or description of persons; yet he would not be a citizen in the sense in which that word is used in the Constitution of the United States, nor entitled to sue as such in one of its courts, nor to the privileges and immunities of a citizen in the other States…. It is difficult at this day to realize the state of public opinion in relation to that unfortunate race, which prevailed in the civilized and enlightened portions of the world at the time of the Declaration of Independence, and when the Constitution of the United States was framed and adopted. But the public history of every European nation displays it in a manner too plain to be mistaken…. We proceed, therefore, to inquire whether the facts relied on by the plaintiff entitled him to his freedom…. … It may be safely assumed that citizens of the United States who migrate to a Territory belonging to the people of the United States, cannot be ruled as mere colonists, dependent upon the will of the General Government, and to be governed by any laws it may think proper to impose. The principle upon which our Governments rest, and upon which alone they continue to exist, is the union of States, sovereign and independent within their own limits in [60 U.S. 393, 448] their internal and domestic concerns, and bound together as one people by a General Government, possessing certain enumerated and restricted powers, delegated to it by the people of the several States, and exercising supreme authority within the scope of the powers granted to it, throughout the dominion of the United States. A power, therefore, in the General Government to obtain and hold colonies and dependent territories, over which they might legislate without restriction, would be inconsistent with its own existence in its present form. Whatever it acquires, it acquires for the benefit of the people of the several States who created it. It is their trustee acting for them, and charged with the duty of promoting the interests of the whole people of the Union in the exercise of the powers specifically granted…. But the power of Congress over the person or property of a citizen can never be a mere discretionary power under our Constitution and form of Government. The powers of the Government and the rights and privileges of the citizen are regulated and plainly defined by the Constitution itself. And when the Territory becomes a part of the United States, the Federal Government enters into possession in the character impressed upon it by those who created it. It enters upon it with its powers over the citizen strictly defined, and limited by the Constitution, from which it derives its own existence, and by virtue of which alone it continues to exist and act as a Government and sovereignty…. 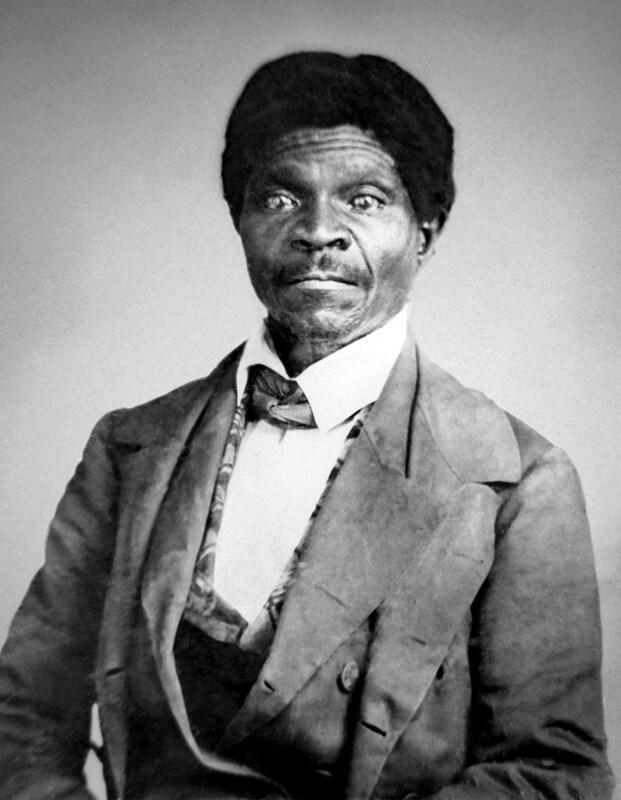 Source: Dred Scott v. Sandford, 19 How. 393 (1857).